We are Montgomery County Chiropractic Center, and we have been helping patients with neck or back pain and condition reap maximum rewards out of our expertise in spinal decompression therapy for years. We recommend this therapy over other treatments because it is effective and safe, and doesn’t cost you much as well. And it doesn’t involve the risks associated with surgery, medications, anesthesia, and injections. Spinal decompression therapy has been developed to treat a variety of conditions that involve the spine and affect our neck, back, and other parts of the body. 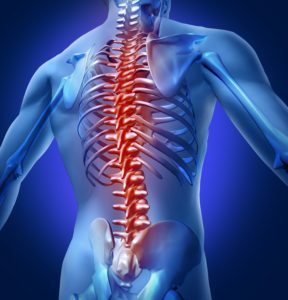 It can be used to treat lower back pain, sciatica, bulging or herniated disc, pinched nerve, and other symptoms that have anything to do with degenerative or damaged discs.When you come to us for getting spinal decompression therapy, we will make sure that your pain, immobility, and suffering are reduced to the minimum and that you are allowed to return to your normal lifestyle sooner than later. If any of the symptoms mentioned above are troubling you, spinal decompression therapy may be the right solution to help you get out of the pain. Unlike invasive procedures that have dangers and recovery time associated with them, spinal decompression therapy is a natural treatment that provides you relief without any side effects. The spinal decompression therapy promotes healing by decompressing the discs of the spine or in simpler terms, taking the pressure off them. The Montgomery County Chiropractic Center has chiropractors and equipment to ensure better treatment and faster recovery.